When two grade-school boys get into a confrontation in the park that results in one boy hitting the other in the mouth with a stick, their parents meet in a Brooklyn apartment to discuss the matter. The parents of the boy wielding the stick, Alan and Nancy Cowan (Kate Winslet), visit the home of Michael and Penelope Longstreet (Jodie Foster), who are the parents of the boy who was struck. Their meeting is initially intended to be a short visit but various circumstances, such as Nancy vomiting in the Longstreet's living room and Alan's numerous cell phone conversations, continue to draw it out. 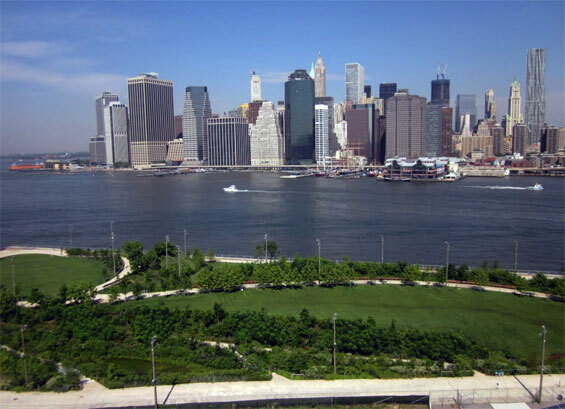 Brooklyn Bridge Park, Brooklyn Heights, Brooklyn. 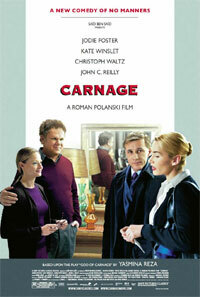 otsoNY Comments: Although set in Brooklyn, New York, the film was shot in Paris, because of Polanski's fugitive status. The actual location for the studio shoot is believed to be the Studios de Bry at number 2 avenue de l'Europe, Bry-sur-Marne, Val-de-Marne in France.